This is a free-to-play online only FPP shooter, set in the futuristic universe of the Titanfall franchise. The production is a spin-off using a modified Source Engine and belongs to the battle royale genre, represented by titles such as Playerunknown’s Battlegrounds and Fortnite. It introduces some of its own ideas to this convention. The action takes place in the already existing universe of science fiction with its own history and atmosphere. Until recently, two factions warred in the universe of Titanfall – one was the powerful consortium of corporations; the other, were the rebellious inhabitants of the planets, exploited by the corporations. The conflict ended, but with the arrival of peace, the locations, where fighting took place, were abandoned in a state of complete ruin. Their inhabitants made an attempt to build the civilization anew, and one of the manifestations of their culture became the Apex Games – a brutal competition in which groups of daredevils fight for life and death. We play the role of participants in these clashes – futuristic gladiators. Unlike many other battle royal games, we don't control an anonymous character, but a specific hero (the title Legend) who has their own story and goals. Among the available heroes one can find Wraith, a warrior suffering from amnesia, who has the ability to manipulate space-time, or Nox, a scientist and hunter specializing in in the use of combat gases. Up to 60 players can take part in the clashes, divided into 20 three-person teams. Every game starts in the same way – from landing on the board and then searching for weapons (you will find here, among others, shotguns, rifles, snipers and machine guns). It is worth noting that the best equipment is on mobile supply ships – landing on one of them may give us a considerable advantage over the competition. The battle lasts, until more than one team fights on a gradually shrinking map. All heroes controlled by players have a set of specific skills that make them extremely dangerous (or useful) in certain situations. Some abilities make it easier to move around the map, others allow you to heal companions or attack enemies. Assembling a balanced team allows us to gain tactical edge over the rest. An interesting solution are the so-called respawn beacons that remain after fallen comrades. If we collect one of them and get to a specific point on the map, we will be able to "resurrect" the company, allowing it to return to the battlefield. As the game progresses, we receive experience points, which allow us to advance to the next player level (maximum 100). 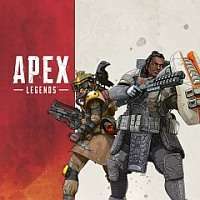 Advancing to a level also means receiving a prize – Apex packages (they contain cosmetic items or the currency used to create them) and Legendary tokens, thanks to which you unlock new heroes.